Neigh! Meet Everton! He’s a horsie that’s easy to have around… no riding lessons required! 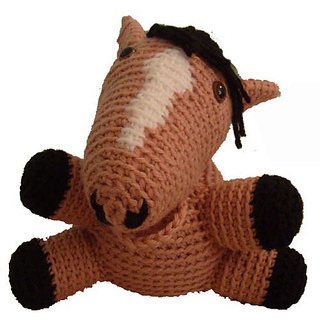 This is a pattern for an adorable horse, who measures in at about 7 inches tall. This is an intermediate pattern, requiring increasing, decreasing, color changing and double crochet. As always, this pattern comes as a pdf with oodles of progress photos!